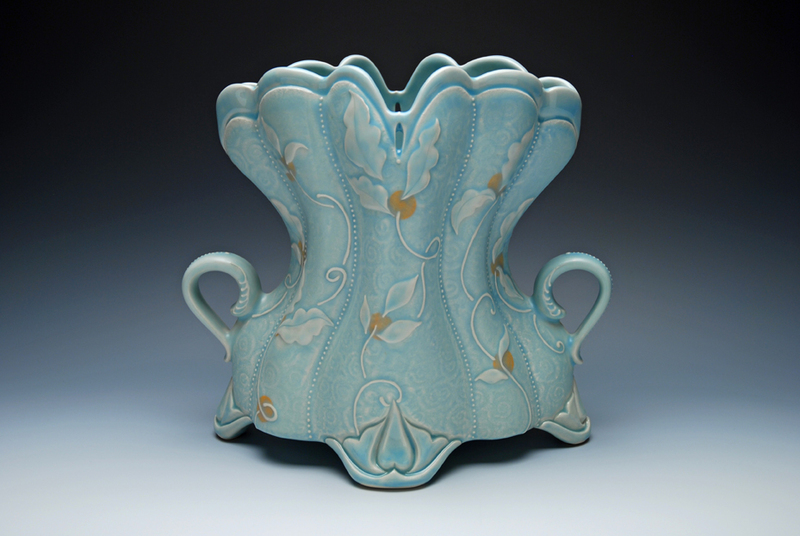 I’m so pleased to share that this new piece, Flower vessel (Corset series) w. Leaves, was juried into the Archie Bray Foundation’s Fifth Annual Beyond the Brickyard Exhibition by professor and artist Andrea Gill. There was stiff competition with 40 pieces selected from 146 artists’ over 400 submissions. I’m doubly thrilled to be accepted, and by a maker extraordinaire of which I am such a fan. The exhibition will be online (and in-person for locals of Helena, MT) February 2nd – April 6th, 2013 here.